family farm cultivating OPPORTUNITIES and relationships with you in mind. Larson Farms is a three generation family partnership. Our crops enterprise ranges across 6,500 acres and produces an average of nearly 875,000 bushels of corn and 150,000 bushels of soybeans per year. 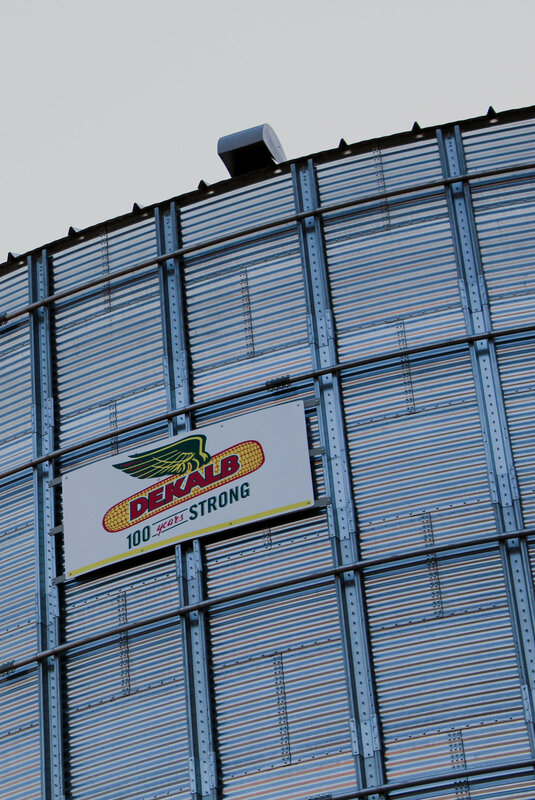 We are also a DeKalb Seed dealership.We are a custom feedlot and our operation can hold 3,400 head of cattle at any given time and we turn out 7,000 head of finished cattle per year. Here at Larson Grain Farms, we believe that to be successful we have to be good stewards of our land. We are not only dedicated to producing an excellent crop, but we are also committed to the land that we farm. It is our responsibility to maintain the quality of the natural resources we interact with daily so that they may be intact for the enjoyment of future generations. llIinois Farm Families - Sustainability. Our feedlots can hold 3400 head of cattle at any given time. The turn out 7000 head of finished cattle each year. That's 5.7 million pounds of carcass beef. That's also 4.3 million gallons of liquid manure, which we use to replace commercial fertilizers. Our modern cattle facility allows both animals and personnel to be protected from the weather as the cattle are processed. To maintain competitive prices while producing the quality of beef consumers demand, Larson Farms now uses ultrasound to create an image of tissues, including fat, muscle and bone. Using measurements of the animal's back fat and marbling, along with weight, days of feed, breed type and input costs, the farm's Beef Performance Technology system projects the optimum number of days on feed and assigns each animal a profitability score. The welfare of our animals is of top priority here at Larson Farms. We are committed to ensuring the safety, health and well being of all of our animals. At Larson Farms we believe in our communities as much as we do our farm. All of our partners are passionate about involvement and are dedicated to improving the communities that we serve and live. From hosting tours for local teachers, to being involved in Illinois Beef Association or DeKalb Area Agriculture Heritage Association, Larson Farms stays involved. Larson Family Farms is great place for employment opportunities. We employ full-time and seasonal workers. Please see below for current openings.